Developers of the Junin project, a potentially devastating mining project in the Intag region of Ecuador, have been sent back to the drawing board. Canada`s Ascendant Copper Corporation proposes to mine copper near Cotacachi-Cayapas Ecological Reserve, a protected area in northern Ecuador that includes a cloud forest and one of the world’s most biologically diverse ecosystems. Isabela Figueroa, an attorney with Defensa y Conservacion Ecologica de Intag (DECOIN), called on ELAW to review the Environmental Impact Assessment (EIA) for the exploration phase of the project. ELAW found major flaws in the EIA and helped DECOIN convince authorities that the community should be consulted early in the project planning process and that the mining proposal should be considered as a whole, without segmenting out the exploration phase. 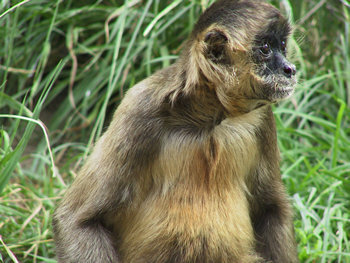 Ecuador`s Ministry of Energy and Mines rejected the EIA due to insufficient consultation with affected communities and a lack of information on the project`s impact on local forests and the threatened Brown-headed Spider Monkey (Ateles fusciceps). The company must now consult with the local people and address the flaws in the EIA. Isabela wrote: "I want to say a BIG THANKS to Jen, Mark and Meche for all efforts to give us technical and competent information." In South Africa, Mittal`s steel manufacturing plant in Vanderbijlpark is among the worst emitters of air pollution on the African continent. In 2006, Mittal submitted an environmental impact assessment (EIA) seeking to expand production at its facility by 50 percent. ELAW partners at the Legal Resources Centre (LRC) in Johannesburg called on ELAW for help protecting disadvantaged communities from these toxic emissions. ELAW scientists studied the EIA and discovered that pollution at Mittal`s facility in Vanderbijlpark far exceeds pollution from facilities that Mittal owns and operates in the U.S., due to lack of pollution control equipment. LRC used ELAW’s analysis to call on the government to approve Mittal`s expansion plans only if the company vastly improves the environmental performance of the Vanderbijlpark plant. In December 2006, the Gauteng Department of Agriculture, Conservation and Environment agreed to allow Mittal to expand operations at its facility in Vanderbijlpark only if it committed to using the best pollution control technology for new production units and if the company agreed to substantially reduce its current emissions. Three years ago, inspired ELAW partners from Peru, Nepal, and Belize filed petitions urging the UNESCO World Heritage Committee to protect glaciers in the Himalayas and the Andes, and coral reefs off the coast of Belize from the disastrous impacts of global warming. These petitions generated many news stories, as people realized that damaging the climate could destroy some of our most treasured places. 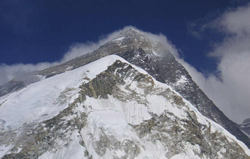 Responding to the petitions, the Committee agreed that global warming "does" pose a threat to natural and cultural heritage sites and the Committee would move forward to investigate the impact. In April 2007, UNESCO released a publication to raise awareness and mobilize support for protecting 830 natural and cultural sites on the UNESCO World Heritage List: "Case Studies on Climate Change and World Heritage." ELAW is grateful to its pioneering partners for bringing the issue of global warming to the forefront of the UN World Heritage Committee. Special thanks to Peter Roderick at the Climate Justice Programme (www.climatelaw.org), Candy Gonzalez at the Belize Institute of Environmental Law and Policy, Prakash Mani Sharma at Forum for Protection of Public Interest (Nepal), and Carlos Soria of Peru. We will continue to work with our partners in the year ahead to urge nations to take concrete steps to protect natural treasures from the ravages of global warming. In Ukraine, ELAW partners at Environment People Law (EPL) are helping the residents of Drohobych get clean water. Since the early 1900`s, a petroleum refinery has polluted groundwater in an area where residents still rely on their own wells for drinking water. EPL obtained data showing that groundwater in this section of the city contains elevated levels of phenols. ELAW prepared a health risk assessment showing why these levels of contamination would render the groundwater undrinkable, a document that EPL translated into Ukrainian and submitted to the court. In December 2006, the local court ordered the city to immediately supply residents with clean water and build central water and sewage systems. EPL`s lead attorney on the case, Liza Aleksyeyeva, wrote: "I want to express my special thanks to Mark Chernaik who prepared an affidavit on the human health risk of pollutant levels in Drohobych." In Argentina, 11 tons of toxic pesticides were stored for more than 30 years in a warehouse 100 yards from an elementary school in Alta Cordoba. The obsolete pesticides (mostly DDT and highly toxic organochlorides) were stored in torn paper bags and leaking drums. Residents near the warehouse were in poor health, with one family suffering two cases of cancer and a child born with congenital malformations. ELAW helped partners at the Center for Human Rights and Environment (CEDHA) obtain the scientific proof necessary to file a petition requesting an immediate cleanup of the area, medical assistance for residents, and compensation for families with contaminated property. In November 2006, Argentina`s national ombudsman, Eduardo Molina, met with the residents of Alta Cordoba about the abandoned pesticide stockpiles and formally requested a federal judge to order the responsible government agencies to immediately prepare a cleanup plan. The University of Cordoba is now working to design the cleanup plan. ELAW will work with its partners at CEDHA to analyze the draft plan. Victories for Communities: Copper mine near protected area halted; Steelworks must improve pollution control; Protecting World Heritage from global warming; Clean water for Ukraine; Cleaning-up abandoned pesticides.